Light up your holidays with Smuin's beloved yuletide tradition. 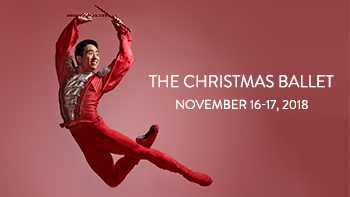 From classical to cool and contemporary, lift your spirits with two inspiring acts filled with a stunning and original array of ballet, tap, and jazz. This year's edition features new pieces alongside classic Smuin favorites. Spark your holiday season with Smuin!